IntelliDyne, LLC., a Falls Church, Va.-based enterprise infrastructure management IT consulting company, last month appointed Gregory Reyes to act as senior director of business development for the company. 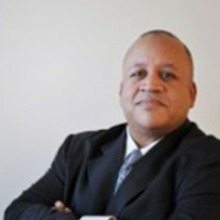 Reyes boasts 28 years experience in sales-business development-management for government contracting space IT and service companies having held corporate development, business development and sales positions with IBM, AT&T and the Defense Information Systems Agency (DISA) within the Department of Defense — among other positions. As senior director of business development he will head IntelliDyne’s Intel, Defense, State Department business and emerging market development. “Greg Reyes’ addition to our company provides BD leadership in the Department of Defense, Department of State and Intel marketplace that will allow IntelliDyne to better serve our client base and target markets by leveraging a consultative approach to IntelliDyne solutions,” said IntelliDyne CEO Tony Crescenzo. The company was also recently recognized in the 2014 Helios Apollo Awards for demonstrating innovative employee development and engagement practices in its workplace.